SEO and Content Management System (CMS). 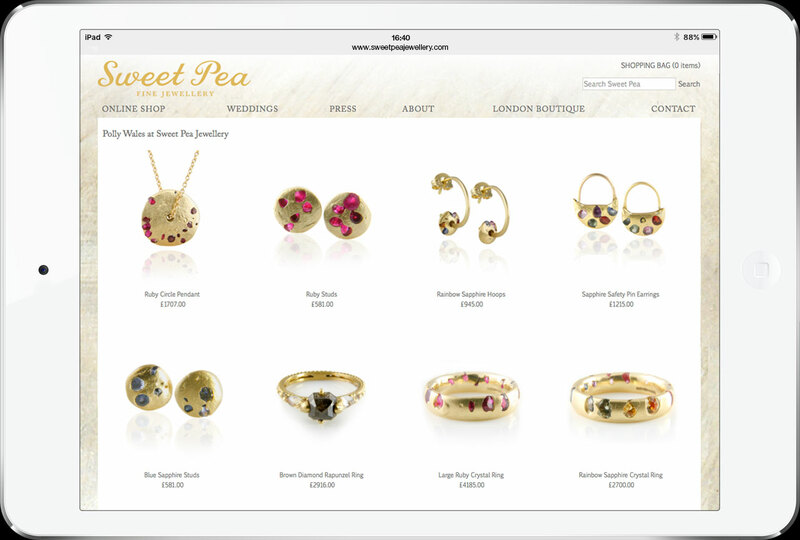 Sweet Pea were looking to develop their retail site to reflect the style of their fine jewellery online. 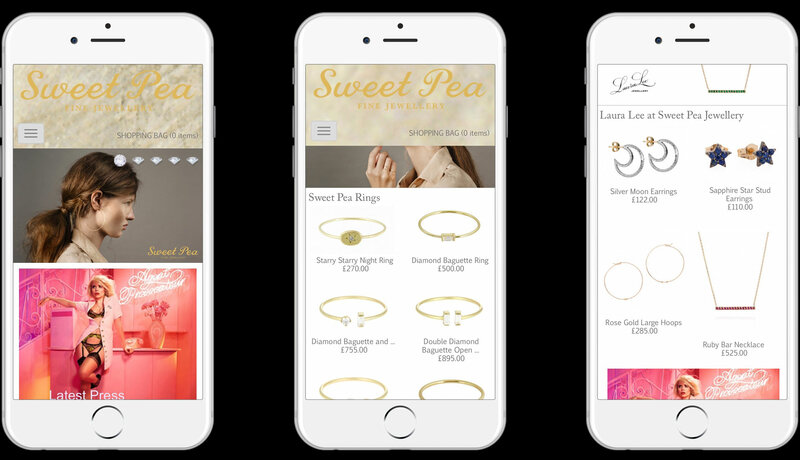 The site includes a bespoke shopping system built to the specific needs of their product. The CMS is used by the staff at Sweet Pea to regularly update images and promotions.